How Can We Enhance Your Comfort Today? You deserve quality air conditioning service at a fair price, no strings attached. 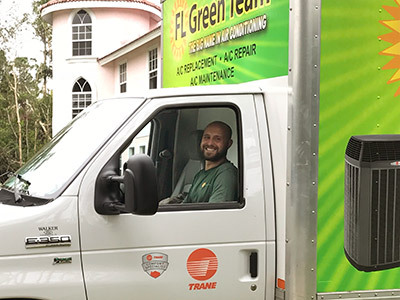 We at FL Green Team make it our priority to deliver that type of service to our Bonita Springs customers. When you hire us as your air conditioning company, you can rest assured that honesty and integrity are more than just words to us – they represent the way we do business with each and every customer. AC problems? We offer 24/7 Emergency AC Repair in Bonita Springs! When it’s hot outside and your air conditioner isn’t blowing cold air, you want immediate relief. That’s why we have qualified technicians on-call at all hours of the day or night, 365 days a year, ready to come to your rescue. Are you a first-time customer? We have a special coupon just for you! Get a coupon for a $29 service call just by signing up for our email newsletter! At the time of the initial service call, we will figure out the problem with your air conditioner and give you a written quote for the necessary repairs. Our technicians will give you an honest assessment – without the sales pitch that you’ve come to expect from other Bonita Springs AC companies. Our primary concern is giving you back your comfort in the way that is the best for you, your family and your budget. We have years of experience servicing all major air conditioning brands. For your convenience, we also accept credit cards. *New customers only. Must present coupon at time of service call. Cannot be combined with other coupons, discounts or offers. 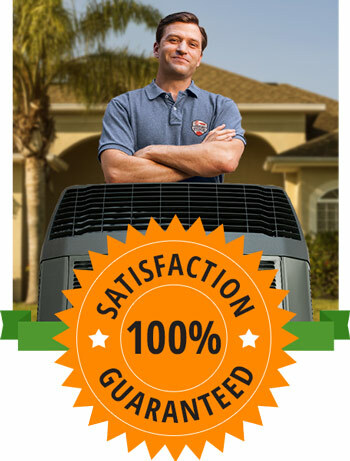 AC Replacement – Satisfaction Guaranteed or Your Money Back! We stand behind the products we install. In fact, we’re so confident in the quality of our work and our products that we offer a good, old-fashioned 100% satisfaction guarantee on air conditioner replacement. If you’re not satisfied with the unit we installed within 30 days of installation, we will remove the equipment and give you your money back. It’s that simple. So, if you’re dealing with a costly repair bill, a unit that keeps breaking down, or if your unit is over 10 years old, it might make sense for you to replace your air conditioner. Not only will your new AC be more reliable, but it will save you money on cooling costs thanks to today’s more energy efficient technology. Think a new air conditioner is too expensive? Think again! 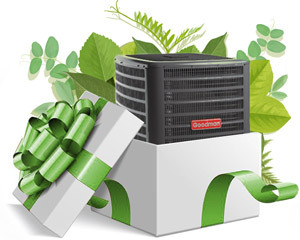 We install Trane, Rheem and Goodman air conditioners, with price options for every budget. We also offer financing for qualified buyers. Also, HVAC manufacturers and Florida Power & Light offer rebates to help make your AC investment more affordable. We’ll make you aware of any offers available to you so you can maximize your savings. Need a New Air Conditioner? Get an Free Estimate Online! Our Online Estimate Builder is free, with no obligation to buy. Or, have a technician come out to your home and give you a free written estimate for a new air conditioner. 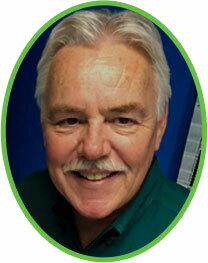 Call now and talk to our knowledgeable, friendly staff at 239.432.1500. We’ll be looking forward to hearing from you! No matter the age of your air conditioner, regular maintenance is vital. Why? Because over half of the calls we receive for air conditioning repair in Bonita Springs are due to a poorly maintained air conditioner. In fact, you can save hundreds or even thousands of dollars by addressing minor issues before they become major ones. Plus, neglecting AC maintenance increases your cooling costs and decreases the lifespan of your equipment. Click here to learn what is included when we come to perform scheduled maintenance. 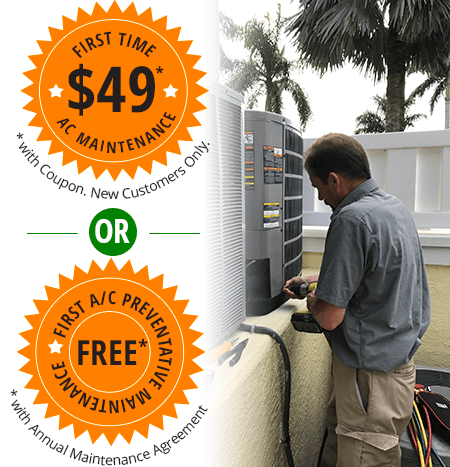 New customers, get your first AC maintenance for only $49! Ready to see what stellar air conditioning service in Bonita Springs looks like? Sign up for our newsletter to stay current with hot-off-the-press blog posts and money-saving promotional offers. 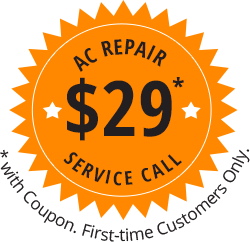 We'll send you two (2) coupons for AC service (limited to 1st-time customers).